The 21st June 2018 was a very special day in our partnership with Education Connection, who we have been working with in the Cape Agulhas region of the Overberg since 2016. In those two years we have seen and experienced much fruit in the development of young children using sport as a tool and platform of influence. For the second year, we have organised and hosted a successful U/13 Rugby and Netball sports day with children attending from CoolPlay programs all across the Cape. In 2017 18 teams attended with impact on 400 children. This year's event was no different as CoolPlay travelled with 100 children to take part in the day long festivities. Watch the video to see how it went! Sinesihle plays netball at Masiyele High School in Khayelitsha. I would like to share with you about how CoolPlay and netball changed my life. I started with Netball last year, and at first I was a bit hopeless - sometimes sport codes at the school just stop but CoolPlay soon showed me that they are here to stay. Before I started with the program I had a huge anger problem, I would snap for just anything, reason is that I come from a background where I have to fight for whats mine and I must protect myself. I am person who does not trust people easily but then again Coolplay showed me how to trust and to care for others. Coolplay came with an angle that turned my life around. I remember when Coach Luke told us about the “Do over”. He said in life we all make mistakes but the big question is how we change our mistakes into success. Well I thought about what he said and it made me think, if I never forgive myself and put my mistakes in the past ill never go forward in life as a person, and that is when I told myself anything is possible. He also taught us that life is more then just playing Netball it’s about setting goals and having the right values, what we do on the court we should do off the court. I really look up to coach Luke his like a father/brother/Hero to me. He keeps his word and always opens up to us. He knows when we are sad or even in a bad mood, and how he has the ability to make us happy is just awesome. So Coolplay thank you for what you have done here at Sarepta High, I hope that this is just the beginning and that we will have more memories to share and we say here at the school THE BEST IS YET TO COME! 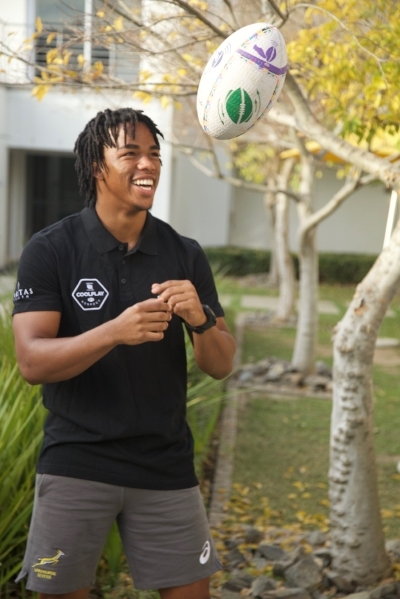 Gans, our first official rugby Ambassador, joined the South Africa Sevens' Academy at the end of 2016, and played for the team at the 2016 Dubai Sevens. In February 2017, he was named as an official reserve for the national sevens team for the 2017 USA Sevens tournament and a week later he was promoted to the main squad for the 2017 Canada Sevens in Vancouver. Stedman is passionate about changing lives through sport and says "I firmly believe that sport has the power to change lives. I also believe in responsibility towards our immeadiate surroundings. And that responsibility is not only to not do bad but to do good when presented with the possibility. Live your best life!' We are so thankful that Stedman is choosing to do good with us! He has a bright future ahead of him and we look forward to following him on his rugby journey! He recorded a special message for CoolPlay, which you can see here! This month we would like to highlight Nokulunga as our Champion of the Month. Since joining CoolPlay this year she has worked tirelessly to come up with creative ideas to support her two netball squads. These ideas have included getting the girls to do vision boards and giving the girls various responsibilities on their respective teams. Most recently, Nokulunga has taken it upon herself to head up a weekly tutoring session on Saturdays to get the girls up to speed on their school work. 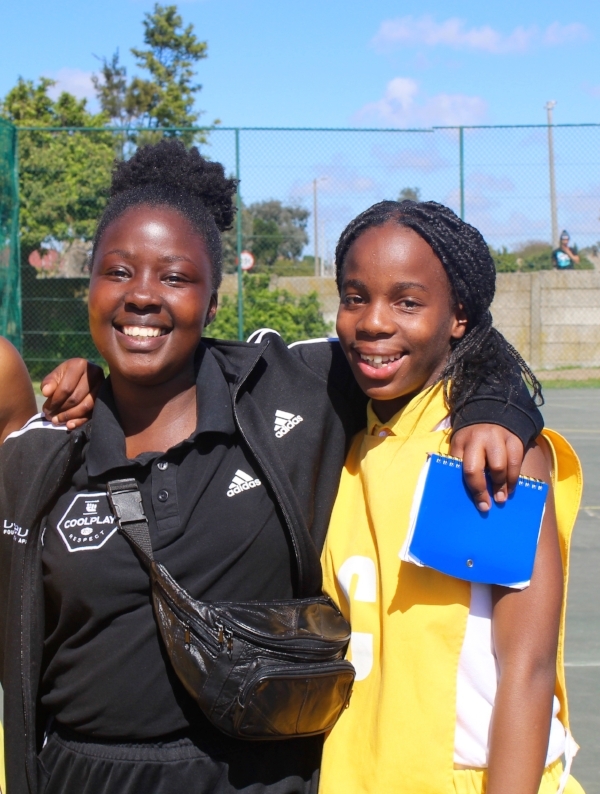 It has been such a pleasure to see Nokulunga's interactions with her teams on and off the netball court. Well done and keep up the hard work! A fantastic morning of CoolPlay games and drills with a twist was held on the 24th of March at Sarepta Primary School. It was a special day for many of the girls as their mothers also participated in the coaching drills, fun and games. The mothers got to experience first-hand the life lessons CoolPlay imparts onto their daughters and understand that there is more to a CoolPlay netball session than just being taught how to play the sport. The afternoons proceedings started off with a short address by Mr Solomons (Headmaster of Sarepta) and CoolPlay Area Manager Luqman. Both placed emphasis on the life skills the girls are learning through participating in CoolPlay sessions. They encouraged the mums to get involved and enjoy the sessions that were being conducted. There were four different stations; the first involved team work, the second avoiding conflict, the next one communication and the last touched on being resilient. Coach Luqman and Coach Damion also got involved, showing off their netball skills too! Finally, the day’s proceedings ended with some very evenly and tightly contested netball matches. The group was divided into three teams that had a mixture of girls, mums and coaches! We could definitely see where some of the girls get their competitiveness from. The matches though competitive were played in a good spirit and good sportsmanship was on display. It was a thoroughly enjoyable afternoon where everyone involved learnt something new, whether it was a life skill they could use in the future or a netball skill! A big thank-you to our CoolPlay Champion Robynne for organising and running a very successful clinic. We look forward to running similar clinics in the future!